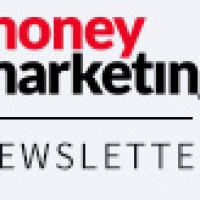 In the Money Marketing Offshore Investments Survey published last week, Sun Life Global Management was incorrectly referred to as Sun Life International. It manages the Sun Life Global Portfolio Distribution Portfolio. Shares in Northern Rock fell back 5p to 558.5p on Tuesday after its shares surged by 14p to 564p on Monday after reports that the former building society is in takeover talks with Lloyds TSB.